Research suggests people who take two CurraNZ New Zealand blackcurrant extract capsules per day may burn as much fat as they would normally burn during four weeks of regular exercise. CurraNZ capsules are available in many health food stores and is an Amazon best seller in sports supplements. As far as the cost goes, it appears pretty cheap, but anyone using the recommended dose of two capsules per day will need to buy two 30-capsule boxes per month. 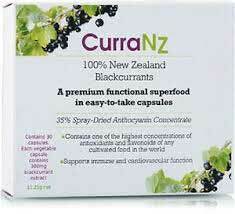 New Zealand blackcurrants are rich in antioxidants that can benefit the health in many ways. They also contain anthocyanins that can increase blood flow during exercise. 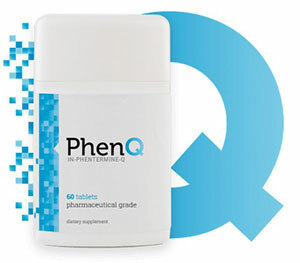 Two 7-day research studies suggests this may accelerate the fat burning process by an average of 27 percent for women and 21 percent for men. According to, study author, Dr Sam Shepherd, from Liverpool John Moores University, an improvement that is 20 percent or more would normally only be attained by doing three to four weeks of endurance training. Shepherd and his team believe their findings suggest consuming New Zealand Blackcurrant extract may be a good way to treat obesity and type-2 diabetes. The key word here is “theory”. As yet there is no way to be certain using CurraNZ will produce the same dramatic fat burning results for people who don’t have active lifestyles or for anyone who has mobility problems caused by obesity or other health issues. However, Professor Mark Willems, from the University of Chichester, who conducted the previous studies of CurraNZ, is thrilled to hear about the results obtained by Shepherd and his team. Early research involving endurance-trained male cyclists had already revealed CurraNZ’s potential as a fat burner, so Shepherd and his team set out to see if it could work in the same way for women. They selected 16 endurance-trained females to take part in a randomised, crossover, double-blind study. Some of the women were given 600mg (2 capsules) of CurraNZ per day. The rest got a placebo. On the seventh day of the study, all the women performed 120 minutes of cycling. The researchers monitored the women’s expelled air the entire time and took blood samples at 15 minute intervals, so they could monitor levels of glucose, glycerol, and non-essential fatty acids. The resulting data lead the researchers to believe supplementing with CurraNZ can “enhance fat oxidation during exercise in females”. CurraNZ certainly appears to have the potential to boost the fat burning capabilities of certain individuals, but until it has been tested on people who have a normal level of fitness, there is no way to be know if it will work in the same way for the average person who needs to lose weight. 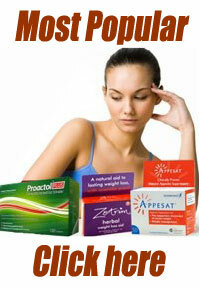 It also has to be remembered there are more aspects to weight loss than fat burning. The body only starts to burn fat when it’s supply of food-provided calories runs out. People become overweight for a reason and it’s always the same reason. Their overweight nature is the result of regularly supplying the body with more calories than it needs. Either by overeating throughout the day, making unhealthy food choices, or both. These are hard habits to break. 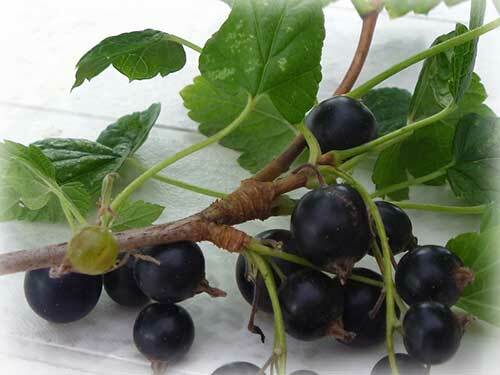 Battling hunger urges is the greatest challenge dieters have to face and CurraNZ will not be able to help in this regard because New Zealand blackcurrant extract does not offer the powerful appetite suppression most dieters need to get their eating habits under control. If the necessary dietary changes are not made, it won’t matter how much CurraNZ is consumed because the body will still have a surplus of calories and will continue to be prone to putting on weight.